Larger than life, rock stars like Jon Bon Jovi, Mick Jagger and Bruce Springsteen have captured the hearts of millions worldwide. On and off stage, their passion for their craft has led them to become legends in entertainment. What are the success strategies of rock stars? How do they build such powerful personal brands? Thanks to former radio personality Steve Jones, we now have the answer. 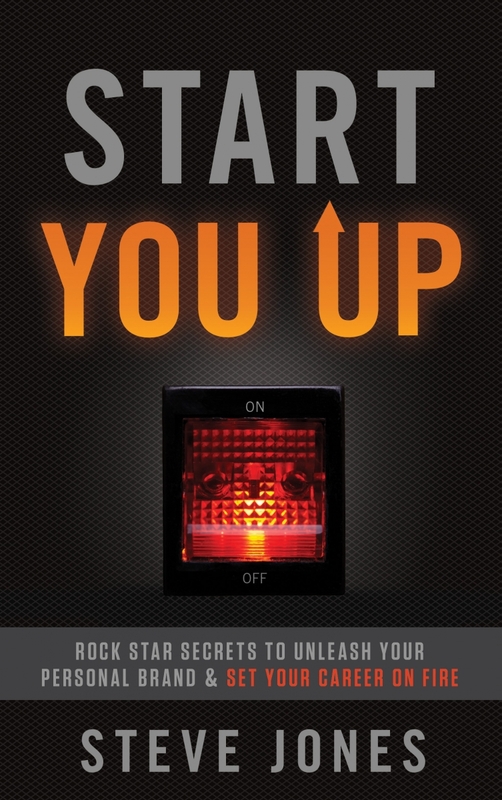 Narrating “rock star secrets to unleash your personal brand and set your career on fire”, Jones’ book Start You Up is part rock music nostalgia and part personal management guide. Boosted by fascinating tales from rock stars themselves, the book drew upon Jones’ deep knowledge and intimate experience of the music industry. So what are these 5 Ps? Inspired by Jack Trout and Al Ries classic work, positioning is highly relevant to personal branding. Through positioning, we can define our importance, and craft a personal brand based on discovering, refining and telling our unique story. Jones also advises us to work super hard, learn while on the job, pay attention to the details and focus on the one thing which differentiates us. The most memorable story highlighting the importance of details centred around the popular 80s rock band Van Halen. In their rider (contract) with concert organisers, Van Halen always included a simple clause. It stipulated that no brown M&M candies were to be found in the backstage area. Should a single brown M&M be discovered, lead singer David Lee Roth would throw a temper tantrum. He would literally trash the dressing room. The band could also skip playing in the concert. Test that their concert promoter is meticulous and rigorous to a fault. Ensure safety of their fans are not compromised by promoters taking short cuts to save money. To publicise our personal brand, Jones urges us to play up on our “weirdness”. Using the example of Buddy Holly and his unmistakable pair of glasses, we should find a way to define our “rock star visual identity” and seek to “be different or be invisible”. Making mistakes and taking risks are also par for the course in personal branding. Here, we are told the story of how Steve Jobs deftly responded to the “Antenna Gate” issue back in 2010. What happened then was that the hidden antenna of the newly launched iPhone 4 wouldn’t work when held in a certain way. Despite offering a free return policy, the return rate for iPhone 4 sets actually dropped instead of increase compared to normal periods! This showed how revealing one’s imperfections and vulnerabilities can endear a company and its leaders to consumers. Straddling topics like creativity, partnership stress, planning, and gut instinct, passion covers the nuts and bolts of personal brand building. This section was enriched with “weaknesses to strengths” stories. It included how rock groups like Fleetwood Mac overcame personal adversities like break-ups amongst lovers to create haunting yet beautiful songs. The story of Bruce Springsteen and his tour director George Travis best epitomised passion. A crazily hard working performer, Springsteen aka “The Boss” is extremely customer-centric. He made sure that every interaction with his concert goers can touch their hearts. George Travis also played his part. Working behind the scenes, he ensured that the coffee is hot, the beer is cold, and the food arrives on time. This was on top of the many other things a tour director needed to do. In the world of rock stars, few can beat Bob Geldof. Purposeful and mission-driven, the founder of Irish band the Boomtown Rats brought together the biggest names in pop to raise millions of dollars for the Ethiopian famine back in late 1984. 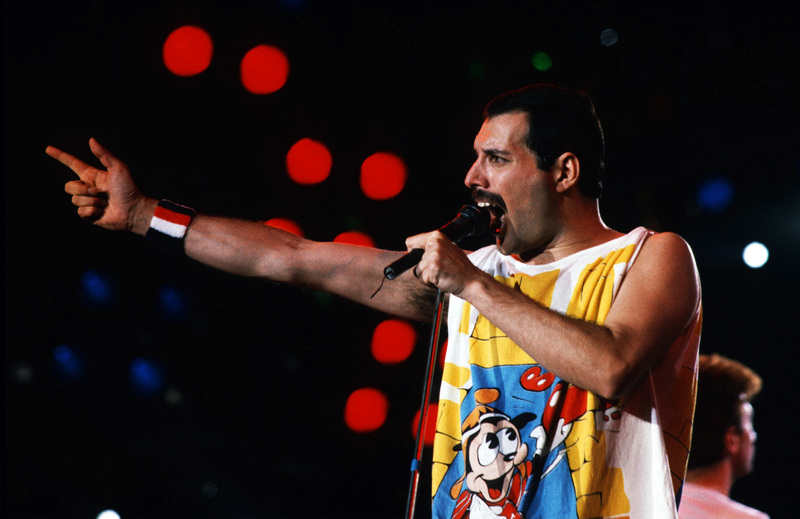 I’m sure all of us born in the 60s and 70s can remember that iconic album “Do They Know It’s Christmas?” and the fantastic “Live Aid” concert beamed around the world! Beyond Geldof’s heroic act, purpose is also about giving to one’s fans. Here, the Grateful Dead’s act of encouraging their fans to record their concerts and spread them around is legendary in building their immense and dedicated following. To navigate our purpose better, Jones urges us to find a mentor, know when to make a comeback, and quit if we need to. While “Bat Out of Hell” singer Meat Loaf rose from the ashes of a drug and alcohol fueled life, others like Australian group INXS stayed around way too long. By not knowing when to quit, they literally watched their star slowly fade. Looking at how rock star leaders compare with CEOs. The story of one-armed Def Leppard drummer Rick Allen was the most memorable in the entire book. Driving a Corvette to a New Year’s party one day, Allen got into a horrific accident. The severity of the trauma tore off his left arm at the shoulder. Overcoming incredible odds with the support of his team members in Def Leppard, however, Allen made a huge comeback. He turned his obstacle of being a one-armed drummer into a unique personal brand for himself. Leading their teams with passion. Packed to the brim with tales from the halls of rock and roll, Start You Up is a fascinating read. Beyond the heroic and legendary stories of rock stars through the 60s, 70s, and 80s, one is also reminded that the journey to building one’s personal brand is never easy. Often, it is littered with failures, mistakes and screw ups. While we may not be as musically talented as these rock stars, we could try to emulate their example. Hopefully, doing so helps us to achieve “Nirvana” in our own personal branding journey.